Savings is more important than investment because the large corpus we normally create from savings, form the bedrock of investment. Investment is necessary because some things in life like land, house, personal car, higher education and marriage of children etc. comes at a high cost. Savings is more important than investment because the large corpus we normally create from savings, form the bedrock of investment. Investment is necessary because some things in life like land, house, personal car etc. comes at a high cost. Savings or normal income alone cannot cover the premium you pay for these. These costs can be countered by investments, which, if invested properly, double your wealth in 3-5 years. Stock markets, land are some of the fastest money growers. If you are in a hurry, invest in stocks or better in mutual funds. Mutual funds have the advantage of expert fund managers, managing your money. Land value increases rapidly, but also carry a lot of litigation which may be impossible to untangle. If properly selected, more the investment, greater are the returns. To have a sizeable amount on maturity, you need to invest a large amount. This large amount is possible via regular savings instruments like EPF. NSC. Etc. As we delve further on this matter in this article, we will go through the merits of common savings instruments. The primary mantra is to save in a smart way so that the amount compounds. Once it reaches a sizeable corpus, go for investing safely so that now the amount increases at a faster rate. Another reason for savings in a smart way is so that your returns beat the low-interest rate regime or is not less than inflation-adjusted returns at any time. Let us now go through the common savings schemes, which provide good returns. One of the best returns is provided by EPF. Its beauty lies in the fact that its annual interest under 9.5% is tax-free. Also, the amount your employer pays for your EPF is tax-free annually till 12% of employee’s own contribution.NSC gives interest at a predetermined rate and does not come down in low-interest regime. Another positive fact about NSC is that its interest is added to the principal amount of that year. The sum becomes the principal amount for next year on which you obtain interest next. Therefore, the money grows in a compound fashion. Indian Government guarantees the return. All these facts make NSC a good savings option with close to investment grade output. However, the amount on maturity is taxable. NPS (National Pension Scheme) is one of the savings avenue by which you lessen your tax outgo. It falls under EET scheme where the amount invested and its interest is relieved under extra 50,000 special deductions available through 80CCD tax deduction route. However, one con of NPS is the high lock-in period and very low amount of taxes you have to pay on the 60% amount that you can take out on maturity at retirement or 60 years. Rest 40% amount has to be put into Annuity i.e pension schemes. You can concentrate on wealth build up when you are secured from medical or insurance costs. So is there any investment instrument, which combines insurance with a rapid increase in corpus? ULIP fills that purpose. Buy units of ULIP that would be enough for your insurance needs. However, invest in ULIP only when the markets are low. ULIP is unit linked policy where the number of units you buy at NAV is invested in debt funds or market and provides insurance too proportionate to that amount. Not only does the NAV increase with an increase in market price of stocks, but you get relief under 80C too for investment in that fiscal. It has a lock-in period of 5 years. However, for proper growth, it's better that you remain invested for a longer period. Do not forget there's insurance connected with it. Investment so that your wealth increase rapidly. If you are in a hurry to increase your wealth quickly, (you are in the approaching 40s) try ELSS. This is the best combination of wealth increase along with tax savings. Tax savings mean more disposable money in your hand, through which you can invest or save more. More investment or more savings, both are mandatory for your happy future. Once your cash flow from work (salary) stops, these investment created from savings, will provide you with steady returns. ELSS has a lock-in period of 3 years. After this mandatory lock-in period, the matured amount is tax-free in the hands of the investor. Savings accounts fetch you a meagre 3.5-7%. 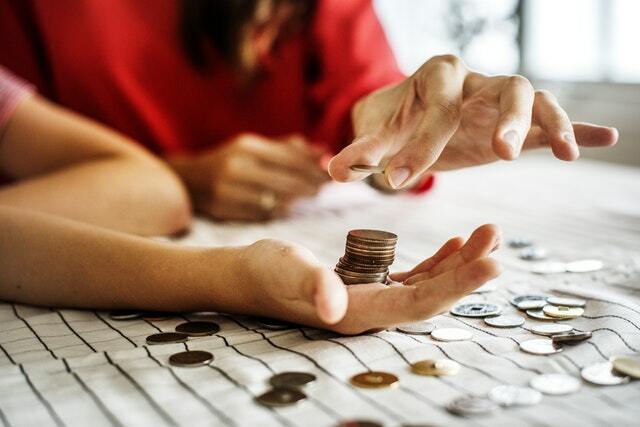 When you receive a “windfall amount” (a comparatively large amount that was not anticipated), you will not like it to fetch only 4% in a normal savings account. That is not the way to increase your money rapidly. For the ultra short term period, put this money in liquid funds. Liquid funds lag behind savings deposit only in one respect i.e. tax. These funds are taxable either as short term capital gains or as other income in your tax slab. Apart from this, liquid funds are the best avenue for ultra-short term investment. Until you have a high return investment opportunity to use the Windfall Amount, invest it in liquid MFs. The liquid fund houses employ a mix of AAA+ rated commercial papers and lower-rated bonds, company certificates to give you a constant return of 7-9%, which is way above normal savings deposit interest. It has no lock-in period (until now). These are withdraw able at any time without any charge and the final amount is credited the very next day. Savings may seem as low output financial products. However, savings with combine the tax deduction and you will be pleasantly satisfied by output. When possible, go for schemes like EPF, PPF in active service life and when you approach the 40s, invest 40% of total savings actively in ULIPs and ELSS. You will be amazed by the speed of personal finance improvement.